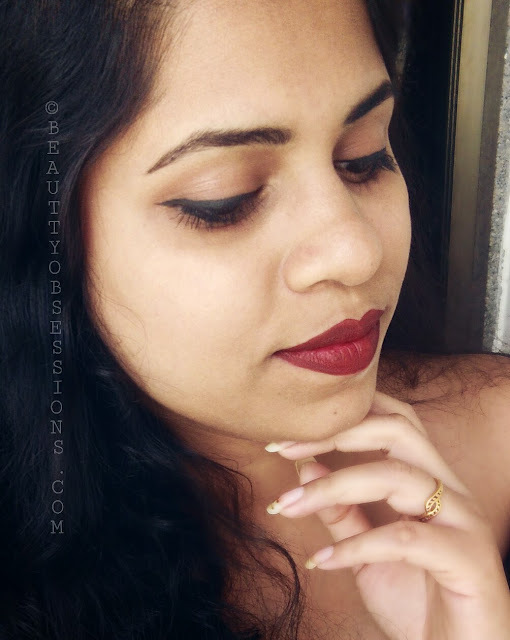 I am a huge fan of matte lip colours and over that I prefer liquid matte lipsticks.. 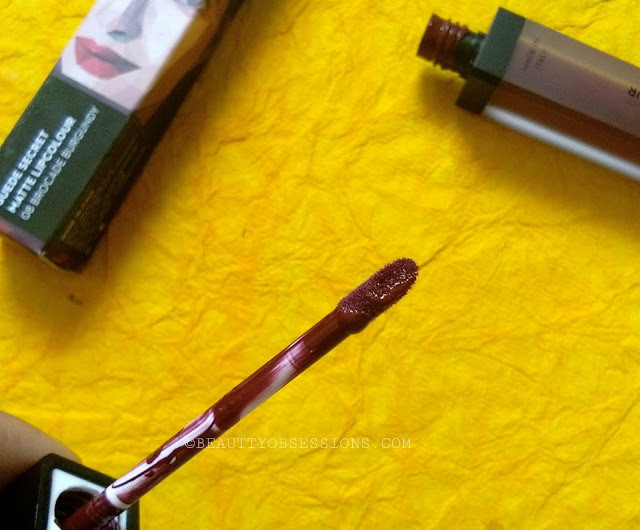 Liquid lipsticks are very easy and handy to use . 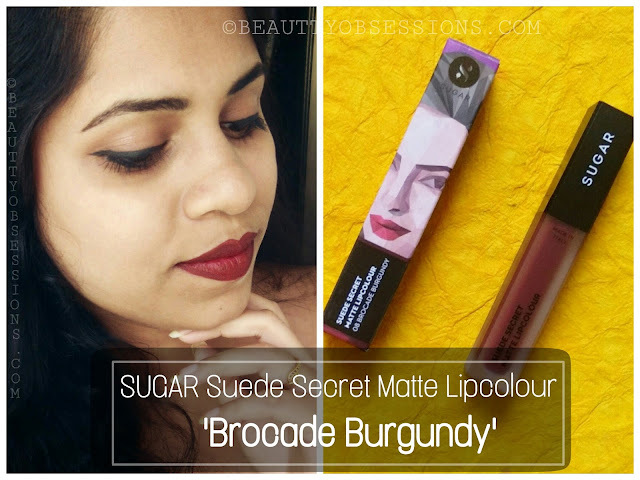 Recently SUGAR has launched the new suede secret matte lip colour range which has 10 beautiful shades. 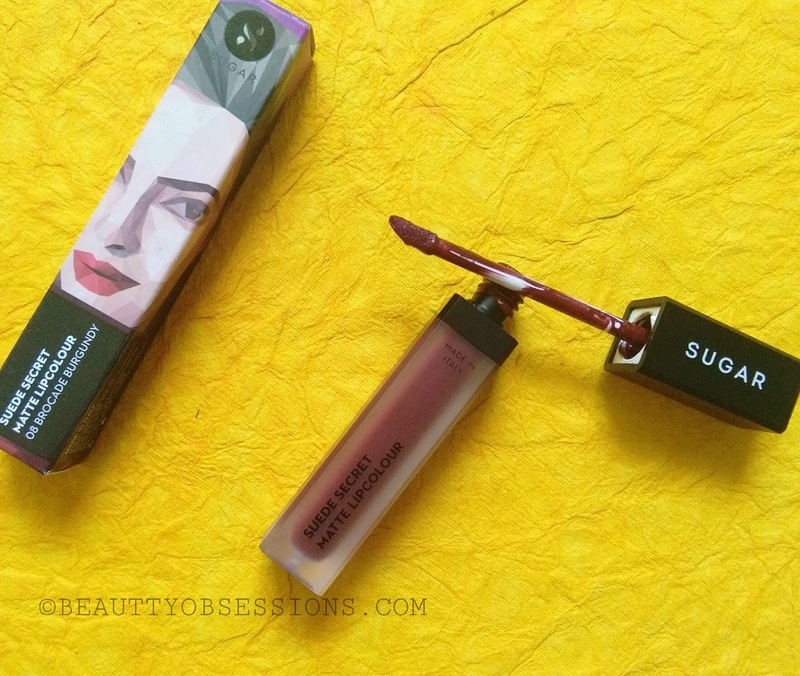 I have already own sugar lip crayons and loved those to the core. I was super excited and bought one shade from the new range. I had so many reds, pinks and corals in my stash and I wanted to try out some different yet bright, bold shade ,hence picked up the shade Brocade Burgundy. 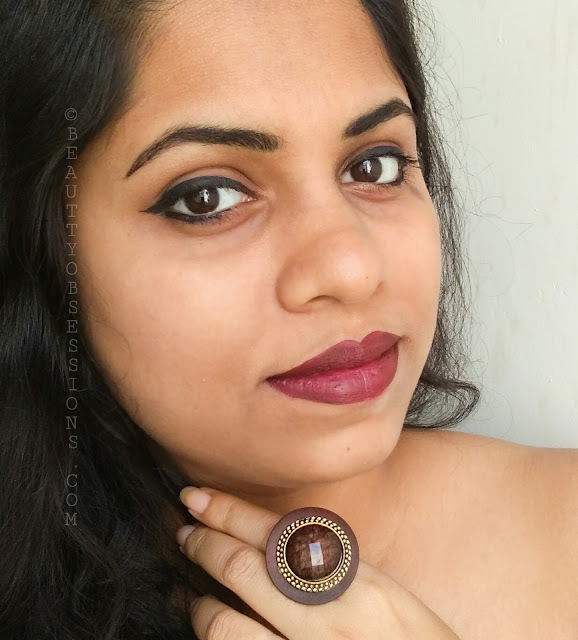 It is a very pretty dark burgundy shade.. Read below to explore more this shade..
Price - Rs 799/- for 6ml. Available on SUGAR website and Nykaa. 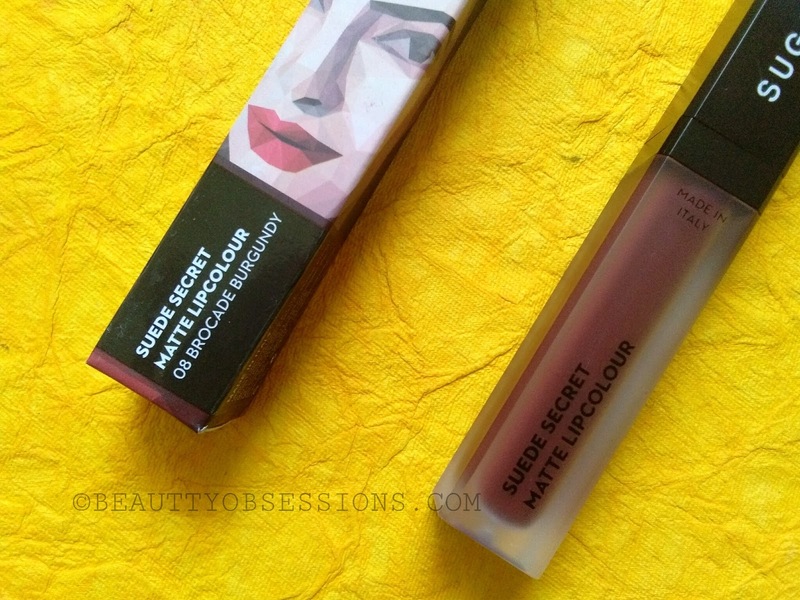 Packaging - The suede secret matte lipcolour comes in a frosty glass packaging with a black screw open cap . As the packaging is see-through, it is very easy to pick out the desire shade if you have couple of colours. The outer cardboard box has a little information regarding the product. The applicator is just perfect to hold and apply. I like the matte ,frosty packaging.. It really looks classy. The shade Brocade Burgundy is a brown-ish deep burgundy shade. It is a very unique kind shade.. 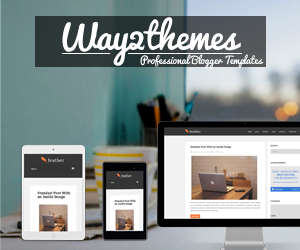 It instantly gives a brighter and bold look to me. Though it is a matte lipcolour but the texture is super awesome . It is very lightweight and smooth on lips. It settles into a completely matte finish but there is no dry feeling or stretchy feeling on lips at all. It glides on lips like butter and doesn't settle into fine lines nor enhances the dry patches on lips . The texture is very soft and creamy kind. This particular shade is super pigmented. I only swipe once and it gives a nice opaque coverage . I have no idea about the lighter shades of this range but i am loving the pigmentation ability of this dark burgundy shade. It takes few minutes to settle down into a completly matte finish and doesn't smudge or transfer after that.. It stays around 6-7 hours on me with a heavy meal in between . I am impressed with the quality of these suede lipcolours. 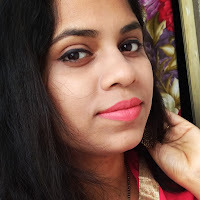 I seriously want to try out few lighter shades as well and the red shade too..
Can't find any till now ..
Do you own any lipcolour from Sugar Suede Secret range ? Do share your experience in comments below .. I have been using Sugar products for a while, they are fabulous! Would make a good evening out look. 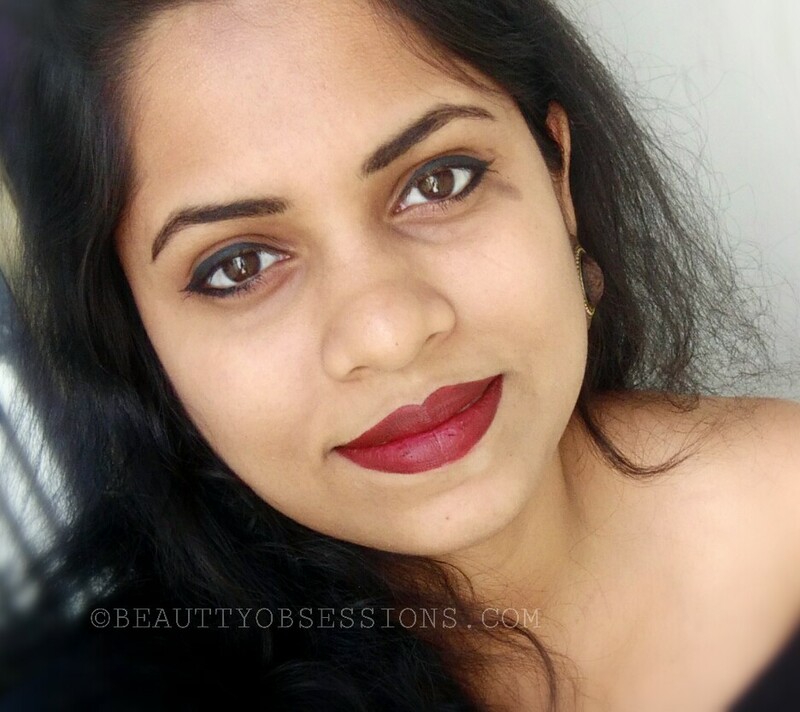 This dark burgandy shade looks beautiful,perfect for party look. Best is only one swipe is required for that look, awesome. I don't have any lip colour from this brand but will try one for sure. This shade is lovely. 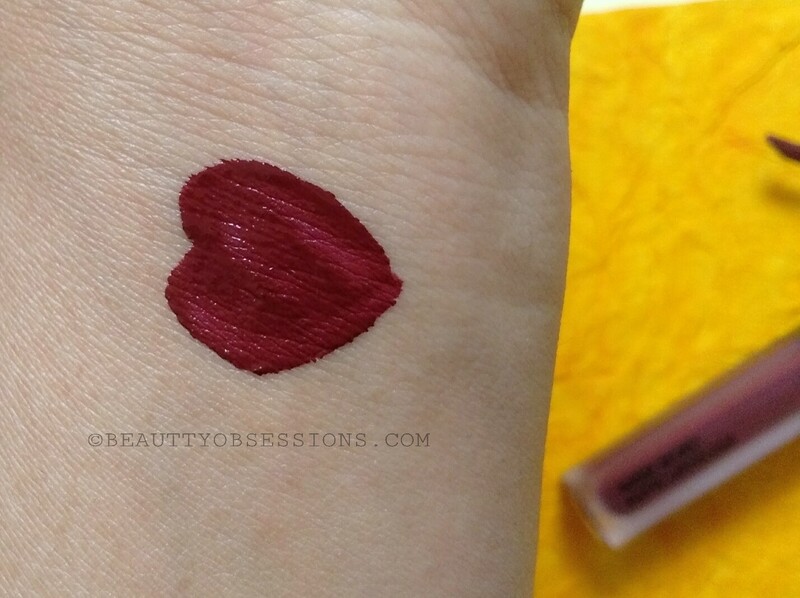 This is a gorgeous gorgeous shade,and looks lovely on you. 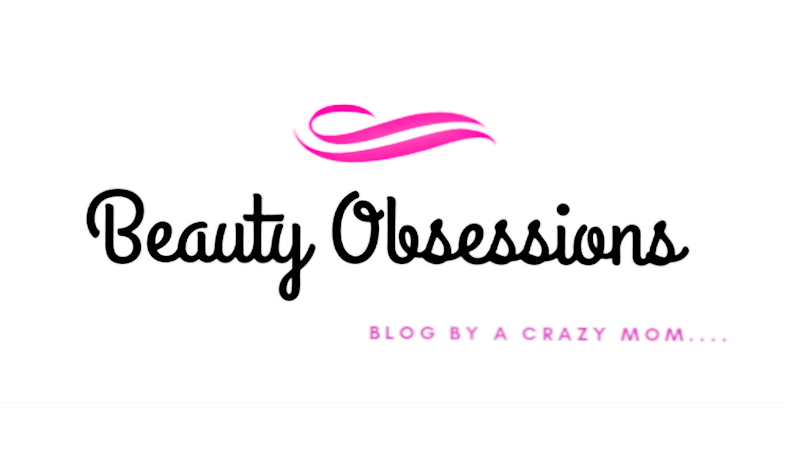 The coverage too looks amazing,and so does the color payoff! Lovely shade, love the matte effect on your skin. Long lasting and non smudge what else one could ask for. Wow, this is such a beautiful shade. I loved the color and it suits you alot. Lovely shade it is... Thanx for the detailed review. I've always been a Sugar fan, I'm currently obsessing over brown-burgundy hues, this one looks amazing! The shade is amazing - it looks great on you.